June 20th, 2013 | Children & Pets. It doesn’t matter what age you are; moving stirs up emotional feelings and can be a difficult experience. There’s no getting around that. If you’re moving with children, these emotions are often heightened even further as you’re trying to censor your children from the difficulties of a move while trying to deal with your own emotions about leaving home. It can be hard for families to get the discussion rolling when it comes to moving to a new house, city, or part of the country. It can sometimes be helpful to utilize other materials such as books or movies to start the conversation. 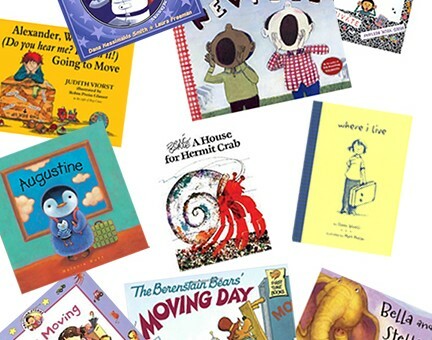 Below are Wheaton’s picks for the top 10 children’s books about moving. Read these with your children and have an honest discussion about some of the big changes, both scary and exciting, that are to come. Visit Wheaton’s Pinterest board for more book and movie ideas that can help your family prepare for the changes that come with moving to a new place and also look at our Tips for Moving with Kids for more ideas on how to make a move easier on your family. Todd, thank you for sharing. Glad you enjoyed the books!